Each week, Pens Initiative will look at the upcoming week's schedule for the Pittsburgh Penguins and tell you what to look for in these games. We'll cover trends, player performances and everything else that may impact the games ahead. The New Jersey Devils and Pittsburgh Penguins open the season after seeing many changes occur over the summer. The two teams finished on opposite ends of the Atlantic Division last year. That was before losing prolific scorer Ilya Kovalchuk in an unexpected departure from the NHL. It was also before new ownership arrived in Newark. Before Matt Cooke and the Penguins' "rent-a-players" bid adieu to Pittsburgh. After re-signing mainstay LW Patrik Elias to a 3 year deal, the Devils did what they could to replace Kovalchuk's flash with size in their forward corps. Forwards Jaromir Jagr (Boston), Michael Ryder (Montreal), Rostislav Olesz (Chicago) and Ryan Clowe (NY Rangers) each signed with the team in the off-season. Days ago, former Red Wing Damien Brunner also signed a 2-year, $5 million contract, giving the Devils strength up the middle they've not enjoyed for many years. The Devils' strength, however, may remain where it always seems to be: in their own end. 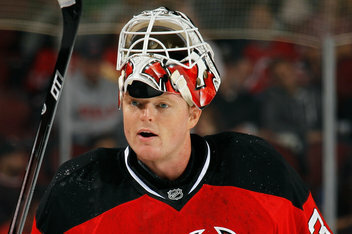 New Jersey made the splash of Draft Day by dealing their 2013 1st round pick to Vancouver for goaltender Cory Schneider. This move ensured the team would have one of the, if not the, top goaltending tandem in the NHL for the upcoming season given both Schneider and future HoFer, Martin Brodeur. Power Play Responsibility - The Devils have an opportunistic PK, leading the NHL last season with 11 shorthanded goals, compared to Pittsburgh's 2. NJ's penalty killing, as a whole, was middle of the road (81%) but teams with the ability to convert short-handed become especially dangerous in close games. Offensive Zone Possession - New Jersey is a more physical team than Pittsburgh. To counter this, the Pens will need to hold the puck longer in the NJ offensive zone, forcing the Devils to their heels and putting many shots on net. Net "minding" - It's no secret that Marc Andre Fleury is a question mark right now. He will need all the defensive support he can get during the early stages of the season to rebuild his confidence. This is especially true when facing either of the league's two elite goaltenders in Brodeur and Schneider. As new head coach, Mike Rolston, takes over the Sabres, many questions remain for the team. They have two bonafide superstars in Ryan Miller and Thomas Vanek. Given the general direction of the team over the past several years, however, they seem as likely to be trade bait leading up to the deadline this season as they are to remain with the team. Many of the teams problems have come from the ability to consistently string together victories and arguably led to the departure of Captain Jason Pominville who ended up in Minnesota. But the organization did make moves to bring in Steve Ott and Mike Weber, an infusion of leadership that may have been missing from the locker room. 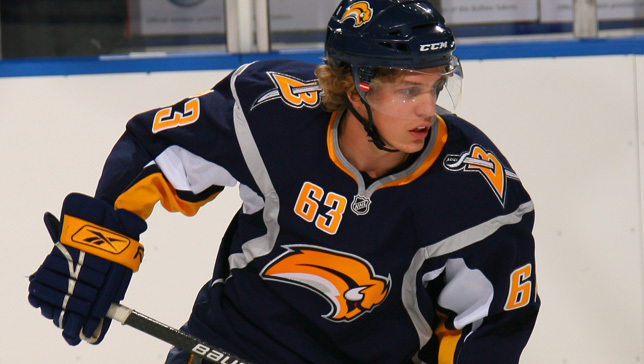 In the meantime, Tyler Ennis should continue to develop into a Top 6 mainstay for the team this season. Play Defensive Hockey - Last season, the Pens gave up 11 goals in 3 games to the Sabres, losing 2 of those contests. If Marc Andre Fleury starts this season shaky, a refreshed Buffalo team could easily force the Pens into playing from behind in this contest. Draw Penalties - The Pens went 3 for 11 on the Power Play last season against Buffalo. Gaining the man advantage early in this game could test the composure of this pseudo-rebuilding team. Pepper the Net - For all the flak he receives, Ryan Miller is still on the cusp of being considered an elite goaltender. He beat the Pens twice in three attempts last season, giving up only two goals per game to the league's highest scoring team. Hit the net. Hit it often.